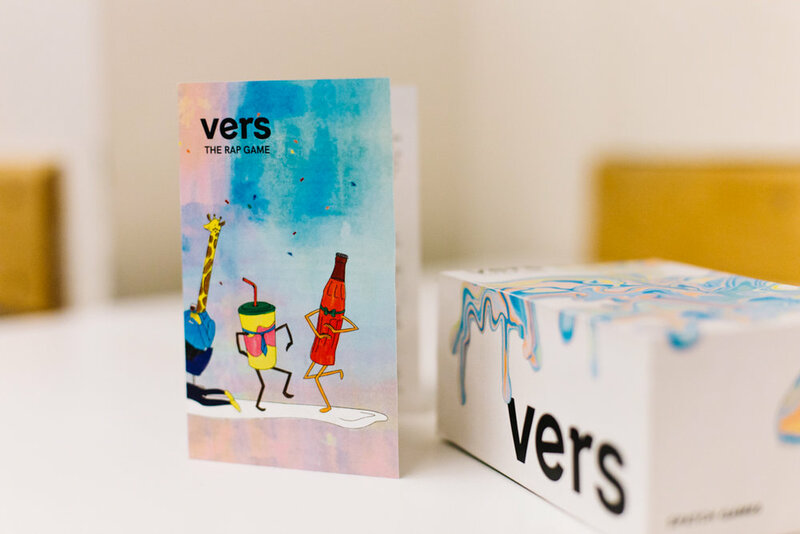 As a member of Scout, Northeastern’s student-led design studio, I was a part of the design team for Vers: The Rap Game, a card game that provides the tools to let anyone learn freestyle rapping. 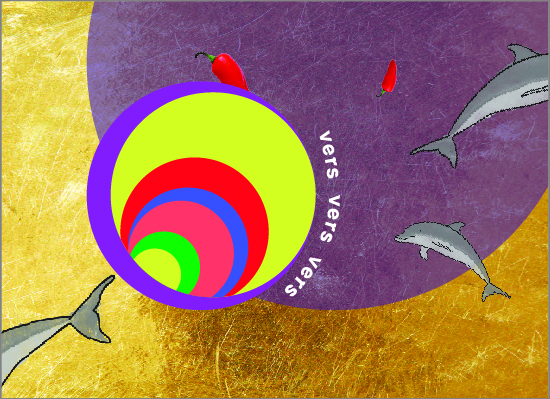 Vers was created to break down what you know about rapping and turn it into something for people everywhere. One of our primary goals was to illustrate the inclusive attitude through design. We wanted to create a relaxed, fun environment that allowed players to feel free and comfortable when using the game. My main role as a team member was illustrating. I created all illustrations for the instructions and packaging, as well as illustrations for the game cards. Creating the illustrations for the back of the instructions pamphlet took several rounds to get the the final result. One of the most challenging parts of this drawing was creating characters from inanimate objects. Each card was designed to be completely unique. After hundreds of iterations, we brought in elements from the instructions pamphlet and packaging. I illustrated chosen elements from each card in order to connect them back to the hand-drawn instructions. My team created watercolor and suminagashi prints for the background elements.